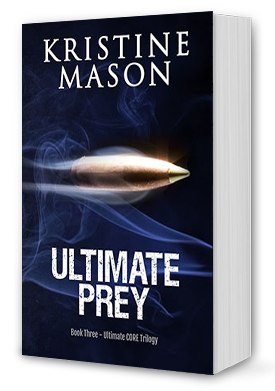 When the hunter becomes the hunted…who will become the ultimate prey? CORE agent Lola Tam has two things on her mind, quitting her job as a criminal investigator and baking a frozen pie for Thanksgiving dinner without burning it. But a midnight call forces a change of plans. Her boss and future stepfather, Ian Scott, has been kidnapped from his Florida vacation rental—along with her mother. The kidnapper’s plan? Drop Ian and her mom in the Everglades and hunt them like animals. Terrified for her mom, Lola takes the bait and travels to Everglade City, Florida where she’s determined to end the hunt before it begins.